As if you needed another reason to own a Switch. According to the folks over at Nintendo Everything, Shaq-Fu: A Legend Reborn is on its way to the Nintendo Switch, raising the console's game library to, like... five. I kid, of course, as Nintendo's latest system has been slowly building a pretty respectable collection. 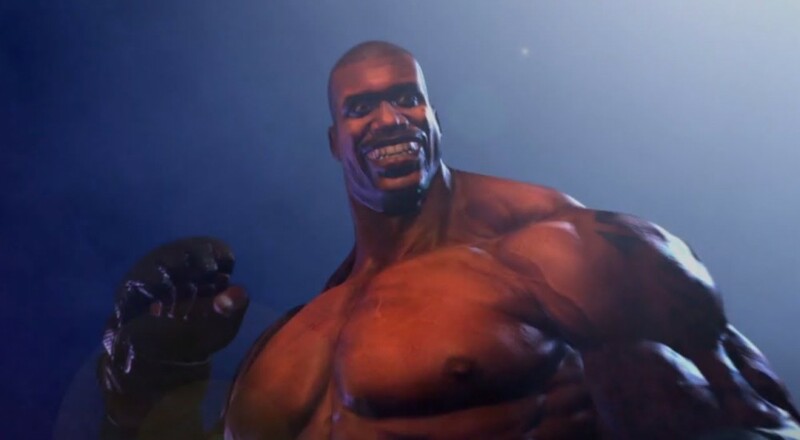 One thing it's distinctly lacking, though, is modern beat-em-ups, which developer Saber Interactive hopes to remedy with their Shaq-centric title. The game's two player co-op will allow players to clean the streets of ruffians, hoodlums, and scoundrels together. As you can see in an old gameplay teaser, below, what Shaq lacks in free throw shooting, he makes up for in what's apparently an absurd amount of training in martial arts. Players will be able to choose from a host of characters to work their way through the game's campaign, so let's hope for a few cameos. Dennis Rodman's likeness can't be too expensive to license these days, and plus, it'd boost sales in North Korea. As mentioned in the Nintendo Everything article, this probably spells doom for the Wii U version of Shaq-Fu, but only time will tell. Page created in 1.4192 seconds.